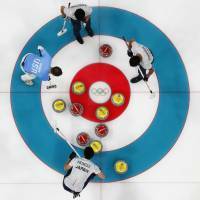 Japanese curlers earn convincing victory over U.S.
GANGNEUNG, SOUTH KOREA - Japan cruised to its third win of the men’s curling round robin with a resounding 8-2 victory over the United States on Sunday at the Pyeongchang Olympics. The two sides came into the match tied for fourth place with two wins and two losses apiece, but the Japanese took control from the outset, winning three ends against the hammer — the last stone delivered in any end. That was enough to compel their opponents to concede following the seventh end at Gangneung Curling Centre. Japan took two points from the opening end, then added a third against the hammer in the second when its guard stone placement denied U.S. skip John Shuster the angle for a takeout. The United States opened its account with a two-point fifth end but was unable to close the gap any further. 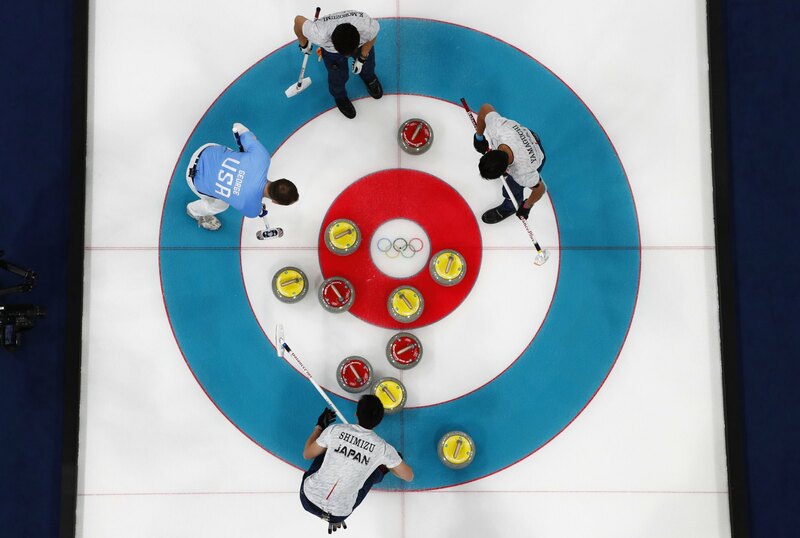 Japan added another two points in the sixth after Shuster left a draw too light, giving skip Yusuke Morozumi enough room to take out the U.S. stone closest to the button with the hammer. Morozumi praised his team’s concentration and ability to play the game at its own speed on the way to its most convincing win of the round robin so far. While Morozumi clearly won the battle of the skips against Shuster, Japanese second Tsuyoshi Yamaguchi’s accuracy on takeouts also proved decisive. The win left Japan alone in fourth place ahead of a meeting with undefeated round robin leader Sweden on Sunday night.